Companies who install, design, repair or sell irrigation systems must be licensed by the TCEQ. In addition to statewide regulations, there are specific rules concerning irrigation in each municipality and water district. We have experience working with virtually every water provider in the Austin area. David Brannan, LI # 5231. WILSON IRRIGATION HAS Three LICENSED IRRIGATORS AND FOUR LICENSED IRRIGATION TECHNICIANS ON STAFF. 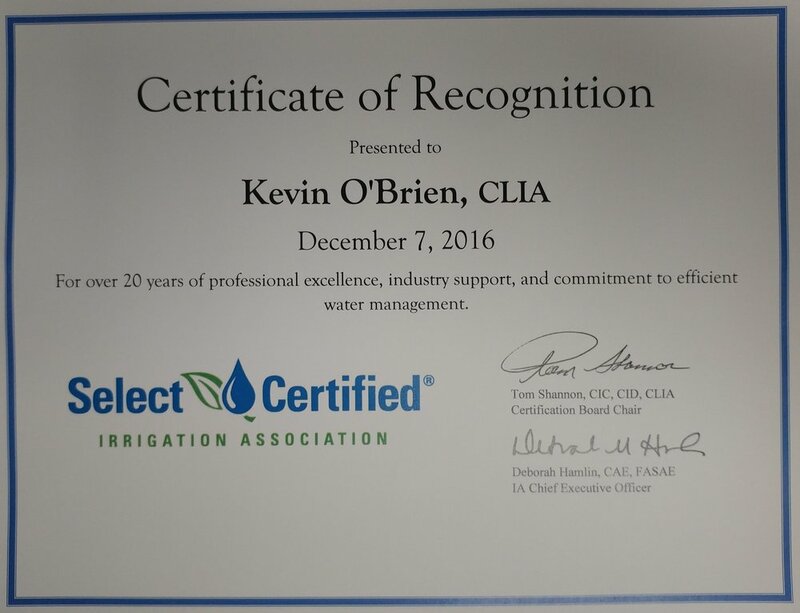 With over 100 years of cumulative experience and thousands of irrigation systems installed since 1984, we have the experience and expertise to deal with your irrigation related needs.